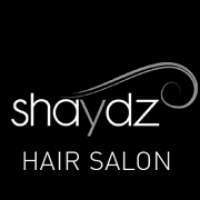 Shaydz Hair Salon is a premier Hair Salon in Padstow that specialises in hair services including hair colouring, haircutting, upstyling, keratin treatments, extensions, foiling & colour corrections. Shaydz Hair Salon, a premier hair salon in Padstow are professionals, friendly, passionate, bubbly team and are always keeping up to date with education and constantly learning new tricks and trends. Our skills are always keeping on track with our training too, to keep our colouring, haircutting and styling experts up to speed. Our team at Shaydz Hair Salon is passionate about all things hair and we're dedicated to providing you with the best customer service. With years of experience, we can work with any density or length of hair. We have got the skills and the education behind the products to keep your hair in good condition. We will guide you and give you the knowledge to maintain your hair at home. You'll love our convenient location in Padstow, it is a 4 minute walk to the train station and accessible with on the street parking and bus stops within 50 metres. We also have late night appointments available Wednesday nights. Come in and meet the team at Shaydz Hair Salon soon. Looking for a professional and high-standard hairstylists? Visit Shaydz Hair Salon in Padstow today!